Ubisoft is a massive company, but the games it produces are the visions of individual people – that’s the takeaway in Playing Hard, an independent documentary about the making of sword-based brawler For Honor. The film, which Ubisoft did not produce, is now available to watch on Netflix. Playing Hard was directed by Jean-Simon Chartier, a documentary filmmaker based near Ubisoft Montreal. As For Honor ramped up production, Chartier became interested in the people making the game, and he approached several of the game’s developers for interviews and behind-the-scenes looks at how it came together. The film is a stark look at the high costs of triple-A game development. For Honor’s creative director, Jason VandenBerghe gradually becomes disillusioned as the game moved beyond his original vision and out of his hands. Meanwhile, producer Stéphane Cardin burns out and leaves the team to undergo therapy just months before For Honor ships. Luc Duchaine, For Honor’s publicist, sees his health decline as he travels the world to help drum up interest in the game. 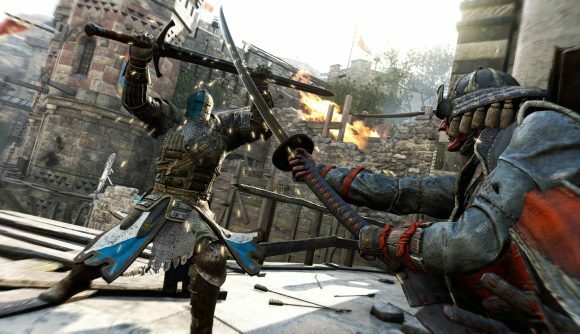 Playing Hard only covers For Honor’s pre-release development, and therefore doesn’t provide a window into the team’s extensive work on their game after launch – its cratering player count and the subsequent efforts to bring them back. But it’s still a movingly tragic and personal story about how game development is tough work, taking its toll in the form of mental and physical illness, long hours, and sometimes crushing disappointment. Chartier says Ubisoft eventually gave his team carte-blanche to film inside the For Honor development studio, and that the company did not get final cut on the film. It’s well worth the watch as a compelling peek into the games industry’s sausage factory.